We try to share the blessing of this place in various ways. We are always happy to introduce people to horses or to pass on what we are learning about vegetables, and about living on and with the land. We also love to experiment with different crops and to share our successes and failures. Since 2011 we have been inviting others interested in growing food for their own use or as a business to cultivate sections of our land. Initially, almost a dozen microfarmers grew herbs and vegetables, and there were also bee colonies at Hillesum Farm. Our dream was to bring together a group of people who would be respectful stewards of this land, and who wanted to share their love of growing, their curiosity and their expertise with like-minded individuals. Many of that initial group underestimated the amount of work involved, and the only remaining microfarmers all are trying to create businesses and small farming ventures. We are not planning to add any additional microfarmers for 2016, but if you are serious, please email us a description of your project and a business plan, and we will take a look at it. In 2011 we experimented with Styrian Pumpkins. These have hulless seeds which can be cold pressed into a very healthy and delicious oil (the nutty flavour is fabulous). In 2007 we plowed up part of a hay field to make room for an unlikely new venture: a vineyard. The top of the Niagara Escarpment is not a great site, it is too cold for most of the standard varieties of wine grapes such as Chardonnay. However, we wanted to see for ourselves. 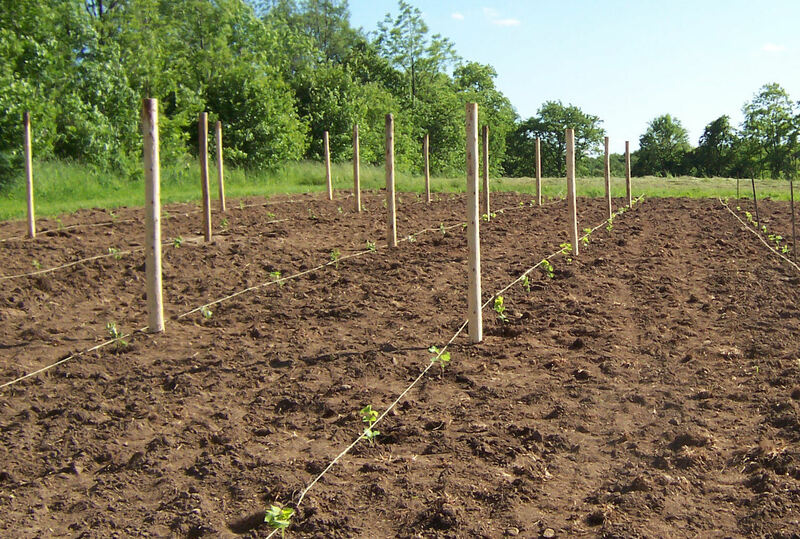 Four types of root stocks were planted (two white, two red), a total of 200 vines. The reds are doing quite well, the whites less so. While there is no denying that we all look forward to that day when we pour the first glass of Hillesum Farm Organic wine, we know it is a long way until then. So far we have shared many of the grapes with the birds and have made "drunken grape" jelly.